We were delighted recently to be contacted by Chow Bella, to review their beautifully handmade spaniel bowls. We are not new to Chow Bella at all - I have been dining out of their bowls since I was a pup, but jumped at the opportunity to have some beautiful new bowls for our beautiful new home! 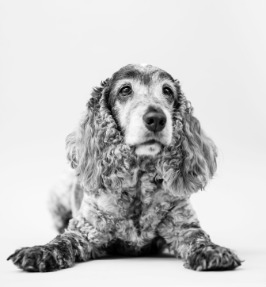 Chow Bella is a name known to many a spaniel owner, and was set up by Claire Pearson 10 years ago, who was trying to find a bowl that wouldn't leave her cocker spaniel Bella's ears crusty and/or wet. Hooman knows the feeling - being a diminutive cocker myself, the bigger spaniel bowls don't really have the desired effect! So Claire, a skilled potter, took to her wheel and created her first spaniel bowl. 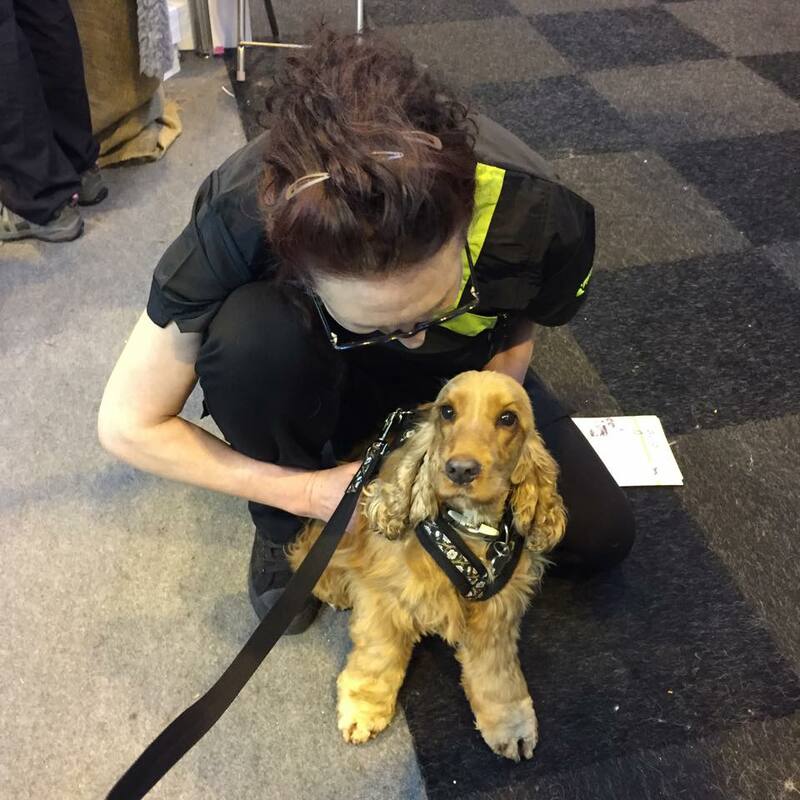 She shared her creation on a well known spaniel forum and was suddenly inundated with requests from equally wet and crusty eared spaniel owners, and ten years later it is now a full time business! Chow Bella was named after Claire's blue roan cocker, Bella, who is now 11 years old. She also deserves a mention for fighting malignant melanoma, and is now in remission - keep it up Bella! 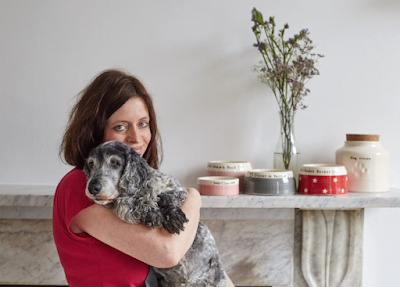 Claire has more recently branched out into personalised treat jars, and now also does different size spaniel bowls, to cater for springers and cavs. 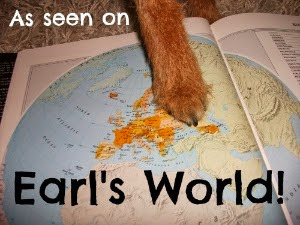 What did Chow Bella send us? We received two of her bowls, beautifully made as ever, with her more recent polka dot design which we love. Hooman chose the colours and the lettering, and they are just gorgeous, sturdy bowls. All bowls are good bowls, as long as they are full of food, but these really are extra special, and we love the little bone prints that Claire put on for us. But really, words can't do these justice, so here are some pics! Why is it still empty, Hooman? You can order Chow Bella bowls directly from the website, where you can select how you want your bowls personalised, by clicking here. The standard spaniel bowls start from £26.99 - remember these bowls are handmade, and custom made for you, plus if looked after, they will last a lifetime, and are totally worth the investment. You can also now order bowls directly through their Facebook page by clicking here! Chow Bella did send us bowls to review, but we are a delighted existing customer, so a truly honest opinion! 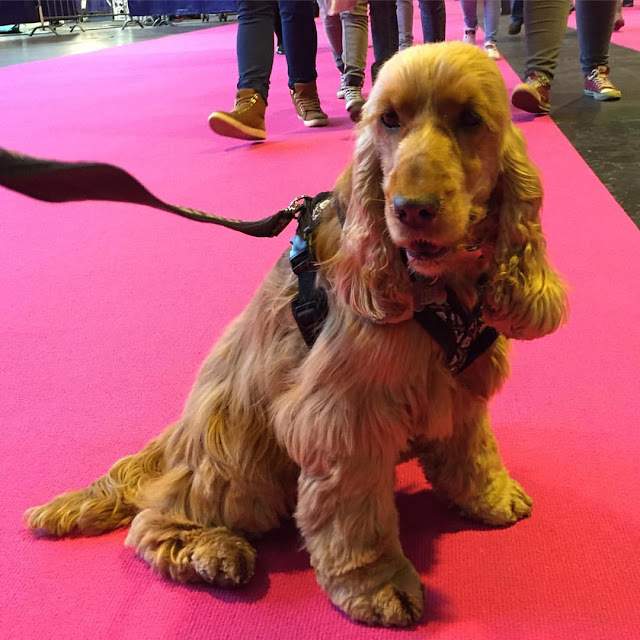 To celebrate the worlds biggest dog show, the organisers have been splendid and given us two pairs of tickets for a giveaway. This entitles two lucky winners to a pair of tickets that you can use on any day (we will be there on the Friday, gundog day - OBVS the best day heehee) - the only thing you won't be able to use them for is the Best In Show on the final evening, as that is a separately ticketed event. All details for entering are below, and the giveaway will run until midnight Sunday 29th February, to allow us enough time to get in touch with the lucky winners and send out your tickets in good time! 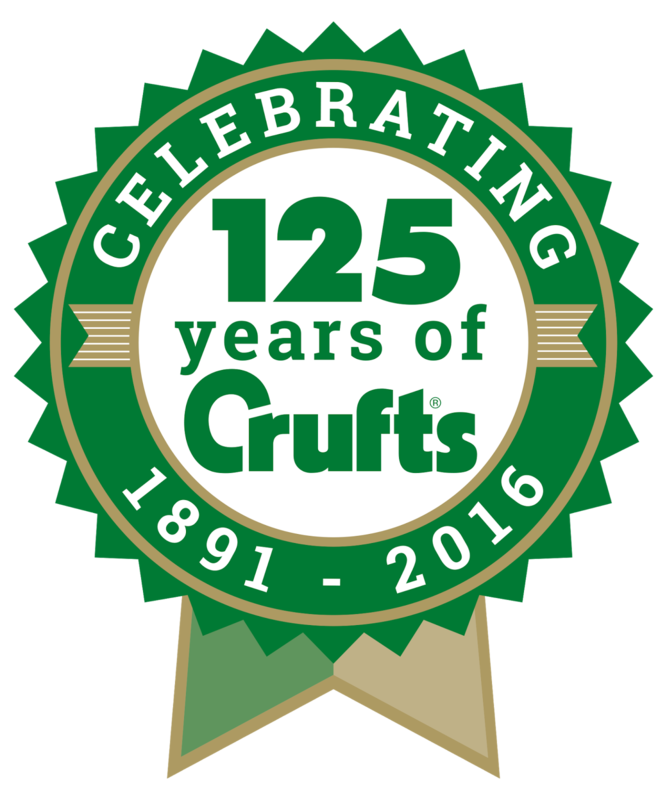 You can also purchase tickets for Crufts by clicking here. Good luck and we hope to see you there! !